On Friday 14th September two thousand of the workers at the construction site went on strike with the support of İnşaat İş union, against poor health and safety, vermin infested dormitories and unpaid wages. The Turkish police and gendarmerie forced their way into workers' sleeping quarters and violently detained nearly 600 of them using teargas. “I ask myself, am I human? Don’t I have any value in this country?” says one worker who was interviewed. 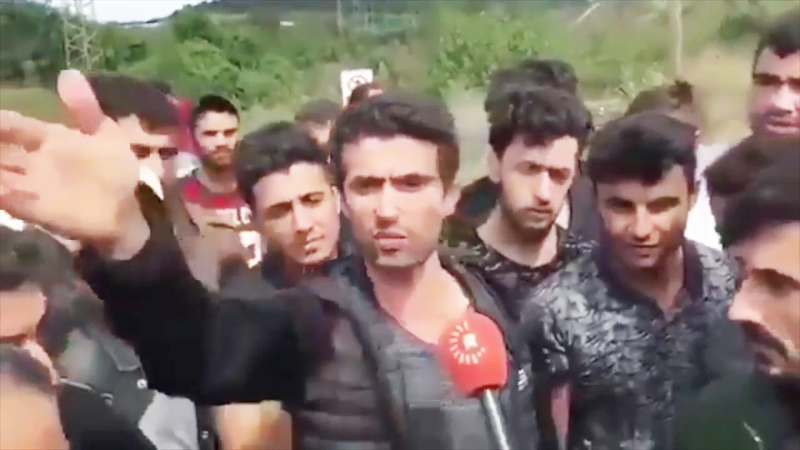 The following Monday they went back to work under heavy gendarmerie surveillance and were told they would be denied their wages and will be arrested if they dare to take action again. Many workers have been released but 24 workers were taken to court for exercising their right to freedom of association. The hashtag supporting the workers, "we are not slaves" #köledegiliz was trending on social media and solidarity protests in support of the workers sprung up around Istanbul and Ankara, but were also faced with police repression and arrests. As of 2018, deaths at work had increased by 10% since the state of emergency was implemented in Turkey in 2016.